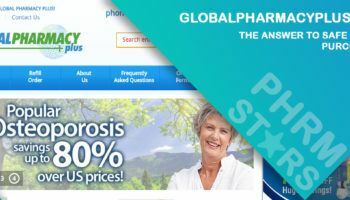 French Online Pharmacy was an online pharmacy that existed from 2013 up until 2017, a pharmacy site that served not only customers from France but also customers from all over the world. Its site was not actually based in France but it was located somewhere in Europe, in a location that was not disclosed on its page. It was not a typical online medicine source with a comprehensive range of pharmaceutical products for various uses but it was an online pharmacy which only sold medicines for the treatment of erectile dysfunction (ED), a sexual health condition that affected a large number of men who were above 40 years of age. Yes, the products that were sold by French Online Pharmacy were only limited to ED meds and nothing else, with the exception of Female Viagra, a sexual enhancement pill for women. But unlike the ED meds which were sold by the local pharmacies, the products which French Online Pharmacy had were generic medicines. Its selection of ED drugs was made up entirely of generic versions of the popular ED medicine brands such as Levitra, Viagra, and Cialis. And since the products of French Online Pharmacy were all generics, its customers never had any issues with its medicine prices. Generic meds were always cheaper than branded drugs, cheaper by 80% to 90%. The reason for this was because the manufacturers of these meds were different than the original makers of the drug. But as for the components and the active ingredients that were on the branded drugs, these were also present in the generic versions in exact similar dosages. 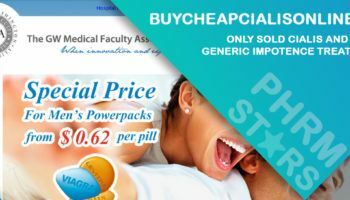 For this reason, the generic ED pills of French Online Pharmacy had the same effectiveness as the branded ones and its customers enjoyed the advantage of big savings from its site. At local pharmacies, the price of ED meds was not so friendly, having had costs that ranged from $70 to $90 USD per pill. But in making generic ED drugs available on its site, French Online Pharmacy gave its clients the chance to buy their desired quantity of ED pills while savings lots of money at the same time. But for some reasons undisclosed, French Online Pharmacy just disappeared from the internet. Its domain name can still be visited but it no longer goes to its old site but redirects to a different one. We do not know if this site was affiliated in any way with French Online Pharmacy but we have a good reason to believe that it is since it’s also a site that specializes in selling ED treatment products. But as for French Online Pharmacy’s old site, it’s already gone and the only way to view it is to access it from the internet archives. ED pills were and still are prescription drugs but back when French Online Pharmacy was still in business, it sold ED medications without requiring any scripts from its customers. Because of this, its clients were able to freely purchase their meds without having to fax or email anything to its customer service department and wait for approval. 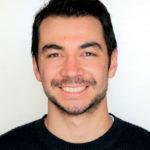 The clients of French Online Pharmacy were also able to save a lot of time and money from the prescription-less purchase of meds from its site since they no longer arranged appointments with their doctors and paid costly professional fees. But even if French Online Pharmacy didn’t require any scripts from its customers, it still advised its clients to consult their doctors before using the medicines that they have purchased for professional medical guidance. This was to ensure the safety of its customers since the use of prescription meds without an appropriate advice from a medical professional could result to an improper drug administration. On the captures made by the web archives for the site of French Online Pharmacy back when it still existed, there was a testimonials section where the comments of its customers about its products and services were placed. We can call these reviews onsite reviews and though they are still recognized as reviews, they are not viewed as 100% legit due to the possibility that they might have already been edited with only their selected parts retained. On the other hand, the reviews that were accepted as legit were third-party user reviews. These reviews were testimonials made by customers to outside sources such as independent pharmacy review sites and these are more accepted since they are transparent and has impartial views. But since no such reviews exist for French Online Pharmacy, what we’ll be using are the reviews from its own site. Mark gave a review for French Online Pharmacy just to let the site know that the pills that his ordered pills have already arrived. 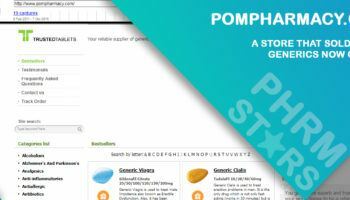 He also mentions of the free bonus pills that were added to his purchase, thanking the site for their generosity. Mark also extended his gratitude to the customer service department of the site who made some follow-ups until he finally received his meds. 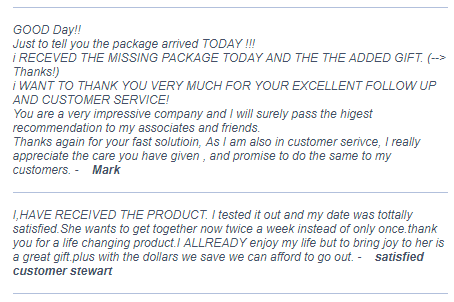 Just like Mark, Stewart also gave a review for French Online Pharmacy to inform the site that he has already received the meds that he has ordered. Stewart was also happy with his ordered ED pills because of its effectiveness. The site of French Online Pharmacy no longer exists and it’s not anymore possible for new customer reviews to be made for it. Its domain name has become among the many redirect sites of another online pharmacy, a site which could possibly be affiliated to it. For clients of French Online Pharmacy whose orders had an amount that exceeded €400, the site gave four (4) free sachets of an ED oral jelly generic and free courier shipping. For orders whose amount only exceeded €200, French Online Pharmacy still gave two (2) free sachets of an ED oral jelly generic. Its site also gave increasing discounts to the purchases of its returning customers. French Online Pharmacy was an online medicine source that only sold pills for the treatment of erectile dysfunction (ED). It existed for four years from 2013 up until 2017 where it simply ceased operating and became a redirect site. Its products were all generics drugs; cheap but similarly effective versions of the costly branded meds. For other places on the web where cheap ED generics can be bought, customers should check our list of top recommended providers.